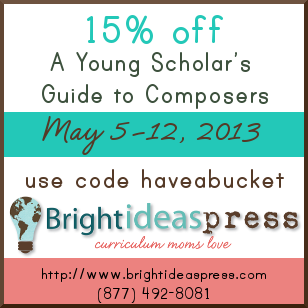 For National Music Week, take 15% off A Young Scholar’s Guide to Composers with coupon code haveabucket. Use coupon code circumnavigate to receive 15% off The Ultimate Geography and Timeline Guide or Hands-On Geography. May 27 is Memorial Day, and we’re keeping the armed forces in our prayers. 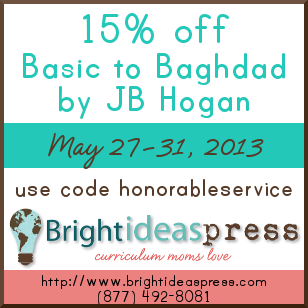 Read about one serviceman’s experience in Basic to Baghdad, available at 15% off the rest of the month when you enter coupon code honorableservice at checkout.